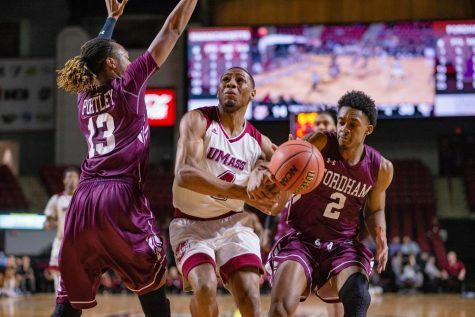 NEW YORK — With their backs against the wall, members of the Massachusetts men’s basketball team turned to one of their point guards to come up with some of their biggest plays of the season. No, it wasn’t Chaz Williams, but Trey Davis, the freshman who didn’t look like a freshman. It was Davis, the freshman who, with his team trailing by five, stepped up and hit a 3-pointer to make it a two-point game with 3:18 remaining. Forty seconds later, again it was Davis who, with his team now down four, made it a one-point game with another 3-pointer from the right wing. And then again it was Davis who, with his team up by three with 5.5 seconds remaining, made two clutch free throws to seal a 77-72 victory over George Washington in front of 5,751 on Thursday night at the Barclays Center to send sixth-seeded UMass to an Atlantic 10 Tournament quarterfinal date with Temple on Friday night. It wouldn’t have been possible without Davis. 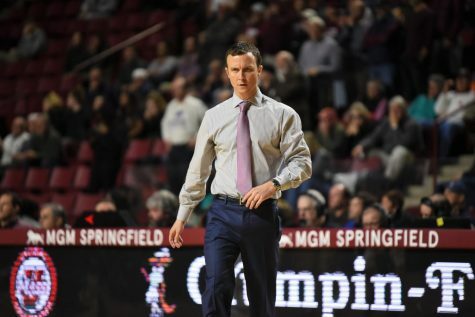 The Minutemen (20-10) survived Thursday night because of Davis’ play, but also in spite of clear deficiencies, the most glaring of which was getting outrebounded 50-32 and getting pounded on the offensive glass to the tune of 25 Colonial offensive boards, which they converted into 21 second-chance points. 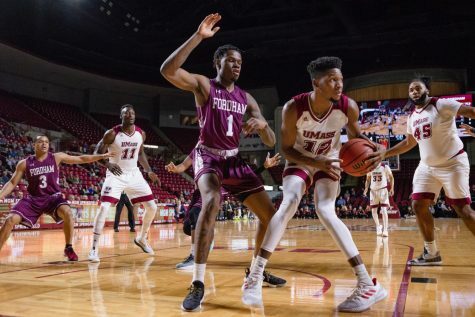 UMass still found itself up by two with 7:19 remaining, but GW proceeded to go on a 6-0 run over the next two minutes, and Terrell Vinson, after contributing a solid 14-point night, fouled out with 5:14, leaving the Minutemen in dire straits heading down the stretch. But that’s when both Davis and Williams rose to the occasion. 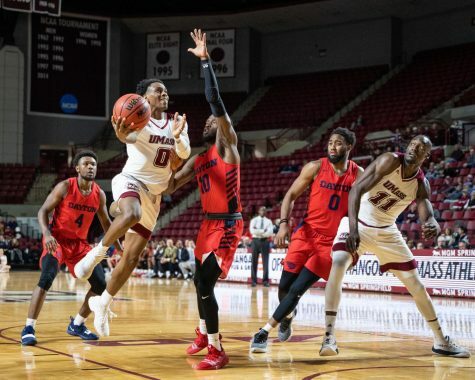 With UMass’ NCAA Tournament chances hanging by a thread, Davis made two 3-pointers to keep the Minutemen in it and then handed the keys to Williams, who gave the Minutemen a 69-68 lead on a layup with 2:24 left. 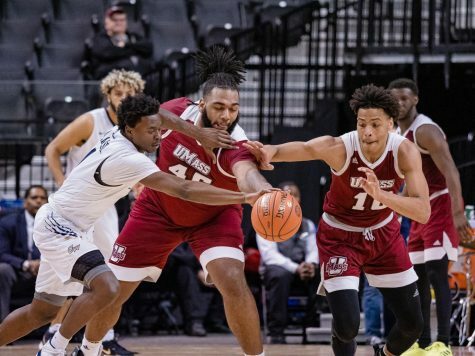 Then, after Joe McDonald gave GW the lead on a jumper with 1:24 left, Williams converted back-to-back layups to give UMass a three-point lead with 32 seconds left and then stole the ball on the Colonials’ next possession and passed it to Davis, who completed the victory. 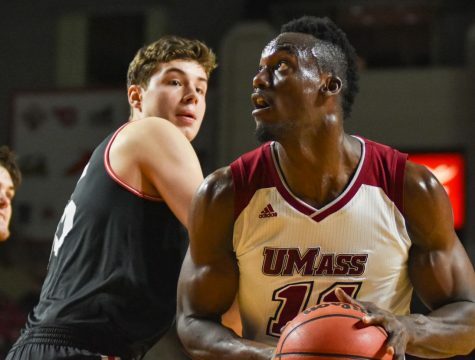 UMass coach Derek Kellogg praised his freshman. 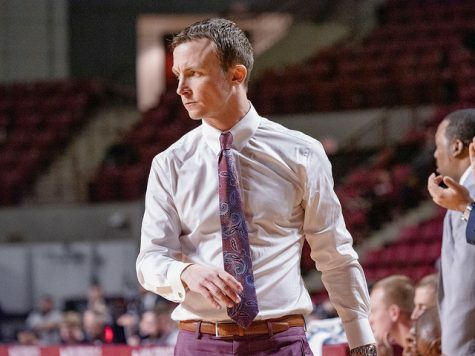 “He’s showed a lot of character this year, and it shows coming down the stretch here,” Kellogg said. “He’s come in and worked hard every day. He’s been able to go against Chaz and really play against him, which I think has made him a better player. 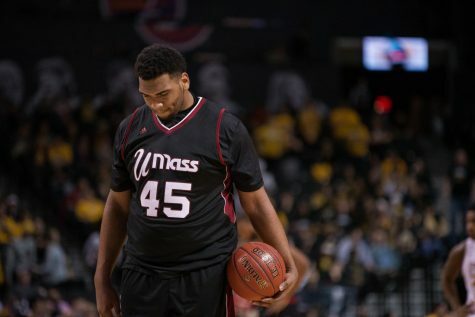 Williams led UMass with 16 points and eight assists, while Davis finished with 14. While their play was monumental down the stretch, it was Raphiael Putney who kept it a tight game in the first half. He scored 12 first-half points and drilled each of his three 3-point attempts, including one that banked in from deep. Kevin Larsen led the Colonials (13-17) with 17 points, while Isaiah Armwood added 16 points and 13 rebounds, including nine offensive boards. 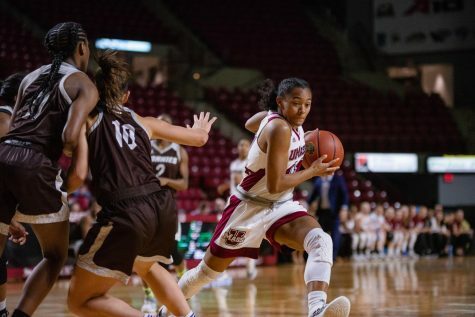 Williams said the Minutemen can’t let Temple rebound against them like the Colonials did if UMass expects to move on to the semifinals. Tip on Friday night is set for 9 p.m. at the Barclays Center. 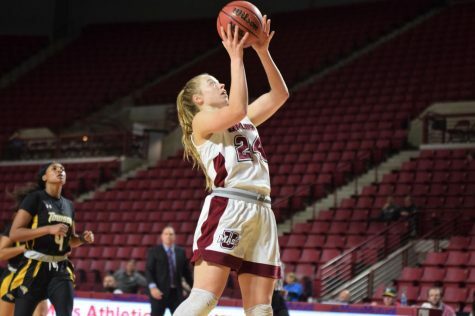 The winner will take on the winner of the game between second-seeded Virginia Commonwealth and 10th-seeded Saint Joseph’s, which tips at 6:30 p.m.